Thinking of giving your living room a makeover? Your living room should be both welcoming and reflective of your personal style.By browsing the designs of some of the world’s most famous interior designers, you can get some great ideas for how to transform your space so that it’s both stylish and functional. Here are a few designs that inspired us. 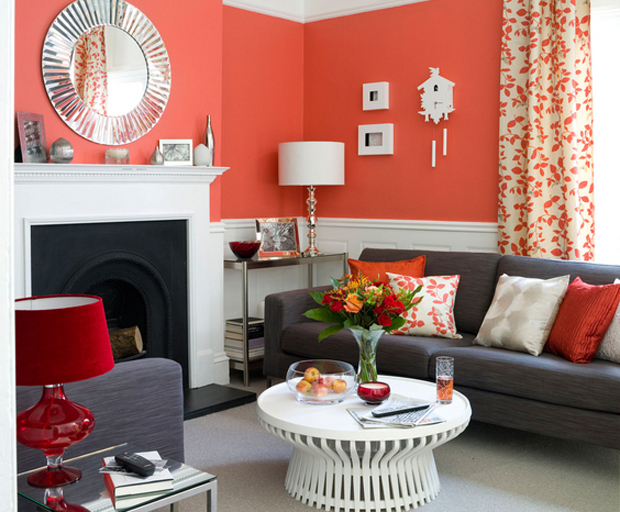 Bold colours can create a striking look that will make your living room feel more vibrant. This red room doesn’t overdo it. The effect is muted by choosing a lighter shade in the same colour family and accenting the walls with neutral trim and paneling. Bolder accents provide a splash of colour, such as with the lamp or art work. Get this look by pairing a bright wall colour with a smart colour choice for furniture, like this sophisticated slate grey. Patterned curtains give you the opportunity to have a little fun and to pull the look together. Jeffrey Bilhuber shows that your stacks and stacks of books don’t have to detract from your decor scheme, but can actually be a focus. Instead of just throwing books on a shelf and pushing the shelves together in a row, you can put books together in colour groupings and designs that turn them into art. Hang pictures directly on the bookshelves for a unique look, then fill the room with plenty of cozy seating. Choose neutral shelves so the colours of the books will pop, then choose room accents that complement the books. This classic and soft design is more white than blue, but the subtle touches of blue create just the right accents for visual interest. 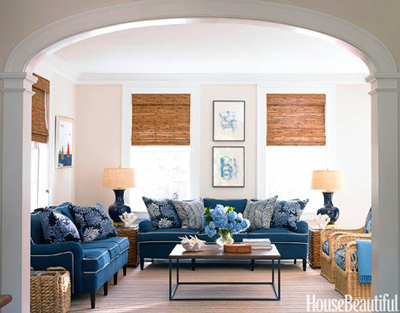 The neutral colour palette is warm and inviting, and the soft blues create a beautiful contrast. To get the look, you should start with a neutral palette for your furniture and walls, then choose key accent pieces, like colourful pillows, vases or a focal piece of art work. You don’t have to choose blue. A seafoam green or coral would also look lovely in this design. You can invert the colours for the furniture and the walls, like in this Lynn Morgan design, focusing instead on bright furniture and neutral walls. Choose key pieces like the sofa and love seat in a bright colour like navy or crimson. Accent pieces like chairs or ottomans can be in the same colour family or can include patterns with the same colour. Just be careful not to outfit the room with every piece of furniture in the same colour or you’ll overdo it. A piece of art work or an accent piece like a lamp can feature the bright colour and tie the look together. Get this modern look from Laura Moss by choosing streamlined furniture in monochromatic colours. A white couch and chairs can be matched with other monochromatic pieces, such as black and white pillows, rugs and lamps. However, don’t like the black and white design scheme become too overpowering. Cut it with a few natural pieces to provide contrast, such as a wooden table or piece of wall art. A well-chosen plant would also look lovely sitting in the corner or on a side table. With spring cleaning usually comes a little spring makeover. Taking your cues from famous interior designers can help you achieve the perfect look for spring in any room of your home. Here are a few stylish suggestions to inspire your home makeover. One of the best ways to decorate your home for spring is to add a popof color. Pastels are always lovely in spring, however, brighter hues like orange or green indicate new life and revival, and can make beige, gray or black furniture pieces in your home stand out. Designer Anthony Baratta encourages the use of bright color and geometric design to create the ideal spring-ready space. Items like throw pillows and blankets, along with artwork, can add attractive texture to any room in your home. 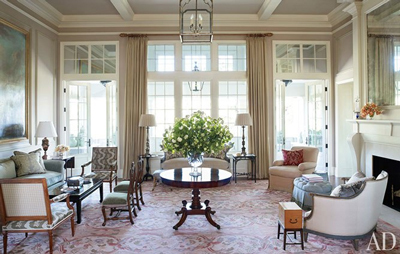 Designer Mariette Himes Gomez recommends using area rugs that feature small designs to lend texture to a room and designate seating areas in a room. Interior designer Susan Ferrier encourages homeowners to add standout pieces to their rooms that add interest and visual appeal to any space. For instance, a distressed antique dish in metal or an ottoman in crushed velvet can make a space more appealing. A signature piece is a neutral or metallic shade adds the right finishing touches to a room without overwhelming the area with color. Springtime can inspire you to add brighter lighting to a room so that the rooms in your home will look a little more like the sunny weather outside. Interior designer Suzanne Rheinstein recommends using lamps in a room that are easy to remove, so you can add or take away as much light as you want. Tall lamps in a bronze or copper tone are especially warm and sophisticated, and look great with furniture of virtually any color. 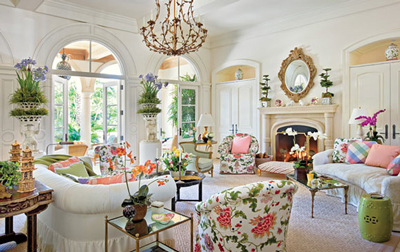 Famed decorator Mario Buatta recommends patterned furniture pieces to make a room look spring-ready. Buatta suggests pillows with a floral print for a chair or couch, and also asserts that plants and baskets can give any room a welcoming, nature-inspired feel. As you can see, features like textured accents, fresh hues and specialized lighting can help you show off your style in a practical and creative way. Adding some of these elements can make a big difference in any room. Looking to give your home a makeover? We’re taking inspiration from one of the world’s most famous interior designers, Nate Berkus (yep, you’ll remember him from Oprah!). Here are five easy ways to incorporate his stunning style into your own home. Nate often juxtapose organic and geometric forms, especially with actual plants. No matter the season, you can bring fresh flowers, dried leaves, driftwood decor elements, or other outdoor items into a room and give it new life. Use them as focal points or simply to break up a space. 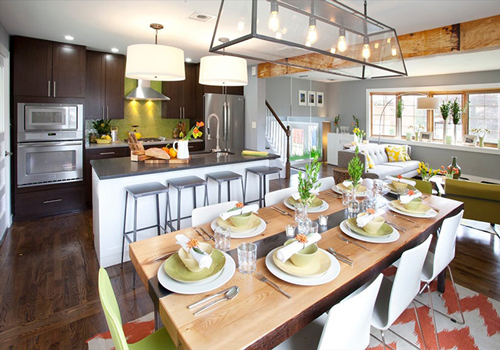 This is also an opportunity to incorporate colour and texture in fresh, exciting ways. Some design rules are meant to be broken. Nate believes the rule about not mixing patterns is one of them! Picking a few small pillows with different designs adds visual interest, even when combined with a larger patterned piece like a rug. Just make sure the colours don’t clash, the patterns are not all similar in size, and the total amount of patterns in one room is not excessive. The idea is to mix a few patterns in a fun way, not to overrun the space with paisley, dots, and checks. Begin with a restricted palette consisting mainly of neutrals. 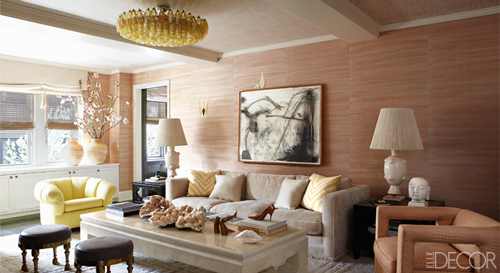 Utilise several shades of the same neutral; for example, try placing beige and tan pillows on a russet or sepia lounge. Add in one or two bright accent pieces for a pop of colour. This also makes it easy to do seasonal changes in your decor simply by switching out those colourful accessories – think bright yellows and oranges for summer, cool blues and greys for winter. Nate prefers to make rooms interesting by drawing the eye to different surfaces with varying fabrics, finishes, and textures. Looking at his rooms you’ll often find chrome fixtures, a deep pile rug, both finished and unfinished wood furniture, leather pillows, and crisp linen curtains. Throw blankets and runners are a quick and simple way to add a little variety to a lounge room or bedroom. According to Nate, a room should reflect the people who live in it and use it each day. An easy way to do this is with books. Whether placed neatly on open shelves, arranged between book ends, or stacked beneath an eye-catching paperweight, there are many options besides tucking books behind closed doors or just leaving them strewn about the room. Some books are beautiful or interesting enough to display as art in their own right, but you can just as easily show off a small collection of cookbooks or vintage books. What are your favourite home decorating tips? Gwyneth Paltrow has shared her recent Hamptons home makeover, and we have major home envy. In her latest Goop newsletter, Paltrow gushes about famous interior designer Windsor Smith who helped redesign the “dead zone” areas in her Amagansett home with her Room In A Box service. Room In A Box allows you to redesign a room by filling out a questionnaire and uploading photos of your space and dream room. After a few weeks, you receive a beautiful box filled with room renderings, floor plans textile swatches and a shopping list of furnishing. It sounds like great fun – albeit not cheap (a redesigned room can come in at over $25,000, although there are many options to suit budgets and styles). Her music room was also given a stylish makeover, centred around a piano which used to hide in the corner. Isn’t it gorgeous? Paltrow and her family spend their summers in the Hamptons, entertaining bestie Beyonce and Jay Z, but we’d be happy to housesit the other nine months! What do you think of Gwyneth Paltrow’s home improvements? Looking for interior decorating inspiration? We checked in with five famous interior designers to steal their secrets on creating a spectacular space. Mario Buatta knows the value of adding life to any type of room, so she opts for specific objects like live plants, books, baskets, and even quilts. Combine both vintage and modern pieces for an intriguing way of giving the room personality. Designer Nate Berkus recommends using objects in your home that speak to you, instead of just copying someone else’s style. It doesn’t have to be an heirloom or trendy accessory, but can simply be an item that you enjoy. He suggests trawling through flea markets and antique stores for one-of-a-kind finds. Also look for special pieces on your next holiday. 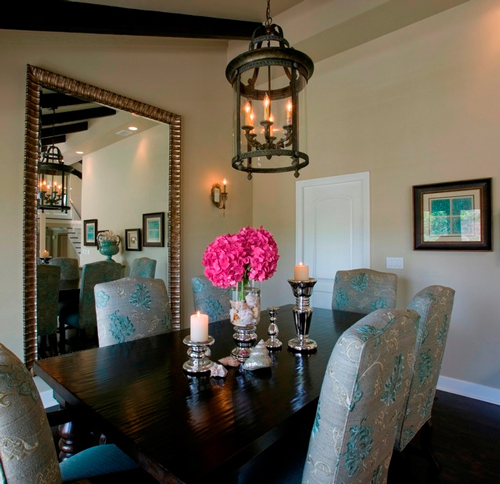 A grid can add a bold look to a room with artwork that hangs on the walls. “I like to hang multiple images in a tight grid, just shy of the length of the sofa, with equal margins at the top of the sofa and bottom of the ceiling moulding,” says designer Tom Stringer. This will add a eye-catching detail as well as balance to any room. Designer Mariette Himes Gomez believes “every room needs at least one character chair for personality.” This offers a focal point to the space and can also make the room look more expensive. 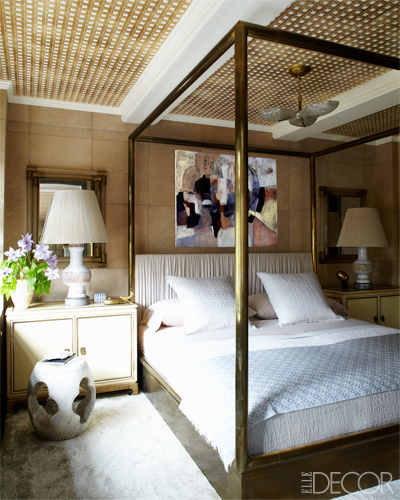 Jan Showers is known for her impeccable taste in mixing neutrals and colours in the chic homes that she designs. She recommends adding dimension to any couch or chair with pillows that pop and have interesting details. What’s your interior design style? Tell us in the comments! Colour can make one of the biggest impacts on the look and feel of a room. Colour placement, patterns and coordination all work together to create an atmosphere that makes a room – and home – special. Some of our favourite famous interior designers like Jamie Drake and Anthony Baratta use accents like furniture and artwork to enhance room design, and colour to completely transform a space. Follow these colour tips, suggestions and design inspiration for your interior decorating projects. Anthony Baratta is a NYC-based interior designer who’s motto is “one third function, two thirds delight.” Isn’t that a fantastic design philosophy? This is exactly what you’ll find with his fun, eclectic and colourful spaces, like this show-stopping retro-inspired living room accented with baby and royal blues. 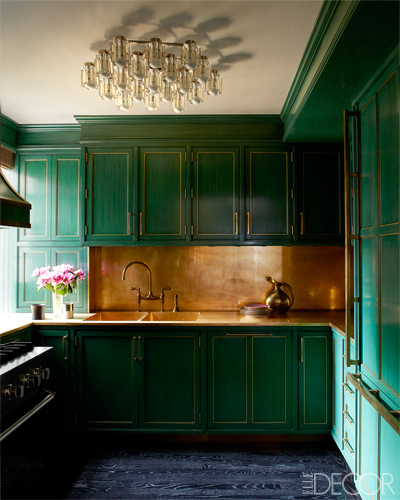 Jamie Drake is a famous interior designer based in NYC, known for his “exuberant colour sense” that he incorporates into all his designs. And boy, is he not afraid of colour, just like this eye-popping fuchsia ottoman, with complimentary lamps, cushions and rug. Jamie often uses a neutral base colour for sofas and lounging furniture, and uses colour on the focal point of the room. This is one of our favourite design tips: when using colour, make sure the room is balanced and not overwhelmed with one colour. Colour doesn’t have to be loud, it can be subtle and natural and create just as much emotion as vibrant hues. This is Barbara Barry’s design philosophy. She attributes her Californian upbringing as one of the biggest design influences. Her elegant home design and favourite colour schemes take inspiration from nature, whether it be from a bouquet of flowers, the mountains or ocean. The dining room she designed above uses vintage yellows and greens like those found in nature to accent the natural wood table, and bring a sense of calm and familiarity to the space. Bright and colourful? White on white? Subtle and understated? What are your favourite home colour schemes? Instagram is the perfect way to get inspiration from your favourite famous interior designers. Whether giving a sneak peak into their design process or sharing glimpses into their everyday lives, these Instagram accounts provide endless hours of inspiration and ideas to all their followers. Here are the five Instagram accounts every home design lover should follow. 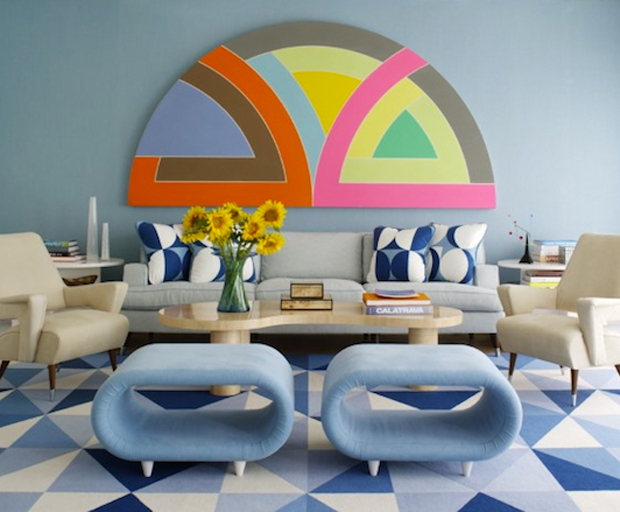 Jonathan Adler’s Instagram feed (above) is brilliant eye candy. He posts so many gorgeous, inspiring shots that will surely inspire your inner designer. His Instagram is focused on decor: full rooms, individual pieces of furniture, colour swatches and unique accessories. He also shares glimpses of what’s going on in his fabulous stores (and let’s you know about sales too!). Scrolling through Nate Berkus’ Instagram feed will leave you feeling like he’s a worldly, stylish long-lost friend. It has a very personal and relaxed vibe. Along with his design picks, you’ll enjoy seeing the world through Nate’s eyes as he hangs with his family and the fabulously famous. The ever-charming Eddie Ross has an Instagram feed that is full of stunningly gorgeous photos and design ideas, along with a splash of personal photos that he’s happy to share with his followers. Describing himself as a “hoarder of beautiful things”, design aficionados will adore seeing what goes on behind-the-scenes on his design shoots; prop lovers, get ready to geek out. The creative mind behind popular design and fashion blog Song of Style, Aimee Song shares her polished and unique design sensibility with her 1.2 million+ Instagram followers. Her feed is a delightful combination of fashion, interior design and lifestyle photos. She shares a lot of personal photos, letting viewers into her carefree, sun-drenched daily life. 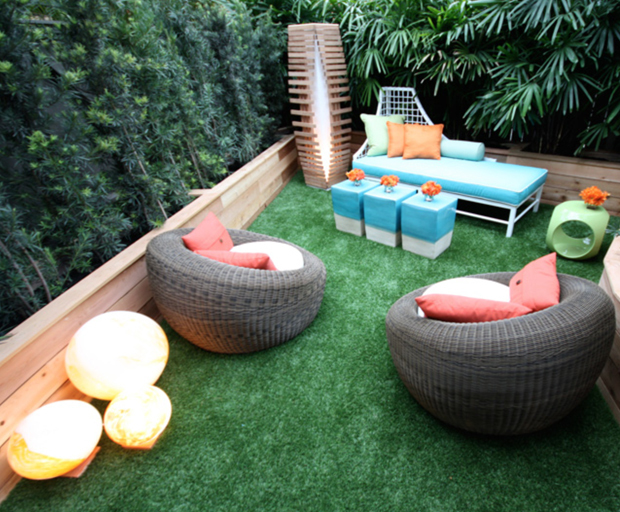 Fans of Genevieve Gorder’s design shows on HGTV will love to follow along with her on Instagram. She shares plenty of personal photos of her family and friends, along with lovely shots of the everyday items she encounters that will undoubtedly provide inspiration for her next design. And since we all love a good selfie, there are plenty of those too! Who’s your favourite interior designer? Thinking of decorating your home this summer? We’ve been inspired by some of the world’s most famous interior designers including David Bromstad and Candice Olson, to bring you home decorating tips to make your home shine. In 2006, Miami-based Bromstad won the first season of hit show HGTV Design Star, which skyrocketed his career as an interior designer. Since then, he has been the star of his own design show Color Splash as well as Summer Showdown. David’s approach to interior design is all about colour. He believes that incorporating bold colours in a space can add life and energy to a room, or garden, which is perfect for summer. From adding a small splash of colour with accessories or painting the walls an interesting shade of teal, David isn’t afraid to be bold with colour. If you love colour, check out his website for inspiration. Toronto-based Olson is known for her trademark uber-chic design style. The host of Divine Design and Candice Tells All loves to create sleek yet homey spaces with touches of luxury, so her portfolio is pure inspiration for making your holiday guests feel at home this summer. She likes using neutral colours to make the furniture the focal point of the room, but she also likes to add small touches of elegant colour like candy pinks or duck egg blue with table runners, pillows and curtains. Gorder, an American designer from Minneapolis, is known for her show Dear Genevieve where she helps transform outdated, frumpy spaces into playfully retro-style rooms. To get a Genevieve-inspired space for the summer, try incorporating modern and eclectic furniture with a focus on colourful accessories, like lamps, pillows and rugs, like the white and orange chevron strip rug above. Visit her Facebook page for more inspiration. Yip, a Hong Kong-born American designer, has a unique eye for design that has helped him leave a mark as one of the most talented designers in the world. 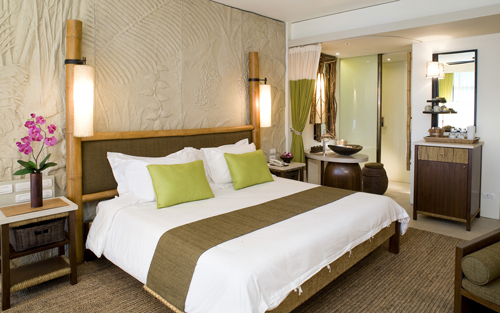 The rooms he designs typically have soothing colours mixed with luxury elements like candles, flowers and silk. He also likes to ensure that his spaces receive a lot of natural light as it adds balance and an illusion of grandeur to a room. Such a great tip for the summer and the abundance of natural light available. Follow him on HGTV’s Design on a Dime. 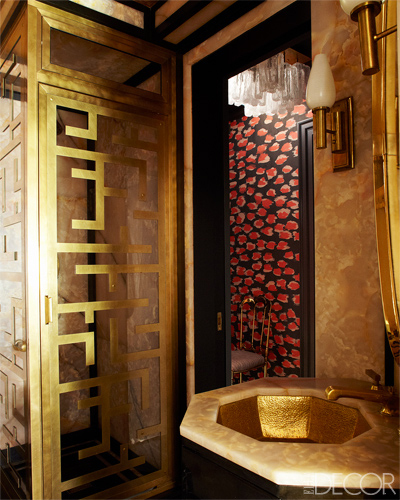 Chicago designer Laporta likes to combine elegance with liveability. She chooses timeless and sophisticated colours – think salmon and steel grey. She also likes to use unique accessories, like a vintage candelabra or giant mirror, that stand out in a neutral space, which is a great idea for decorating on a budget this summer. Lisa also likes to incorporate artwork to add colour and tie the whole look together, like the blue print in the dining room above connecting with the blues in the upholstered seats. Do you have a favourite interior designer? The thought of preparing our homes for guests during the holiday season can evoke fear in the best of us, because let’s face it, who has the time or money to decorate? Leading homewares stylists Betty Wong and Lucy Wolstoneholme for MyHouse share their simple yet impressive decorating ideas on a budget. The special touches of luxurious comfort within the home never go unnoticed and ensuring that your guests are equipped with all of the essentials, along with a few extra comforts, will not only illustrate thoughtfulness but make them feel especially welcome. It’s a simple technique used by the world’s most famous interior designers to create an instant, at-home feel. Even if your budget doesn’t allow for mimicking a 5-star hotel, wonderfully clean bed linens, a choice of pillows donned with freshly ironed pillow cases and a full set of delightfully soft, quality bath towels will all ensure that your guests experience is a far more comfortable one. And while it’s important to de-clutter (get rid of anything that you wouldn’t find in a fine hotel), don’t forget to stock up on all essentials such as soaps, hand towels and toilet paper rolls. Ensuring that all items are easy to access and nicely presented can go a surprisingly long way in creating that ‘luxury getaway’ experience. Nothing breathes fresh air into a space like a touch of nature. By adding the simple, organic beauty of natural pieces to your home you can instantly make the space appear more open and inviting. The beauty of nature in the home is that it works best when kept basic – avoid décor such as over-styled floral displays and instead look to more simple items that draw inspiration from rustic and natural settings. You would be surprised how effective this method is for creating an environment that is pleasant, welcoming and cozy. A common trick of the home-seller is to use the power of specific scents, such as freshly-baked cookies, coffee or cinnamon, to ‘warm up’ potential buyers by making them feel immediately at home in their home. This is often referred to as the “smell to sell” method. Similarly, the use of scent is a great technique for helping guests to feel contented and relaxed in your home when visiting. According to laws of aromatherapy, smells that appeal to the senses can effectively shift our mood. Using scent to create an inviting and uplifting space in the home can do wonders for evoking in your guests a sense of true comfort. Similar to scent, lighting can have a powerful effect on human psychology and guests entering your home will be impacted in an emotional sense by the level and tone of light. It’s the key element in setting the mood and atmosphere of a room and many underestimate the power of light to make or break an interior scheme all together. It should be warm, cosy and cheerful. Cold or blue hues will effectively create a space that is severe or stark, while bulbs with a warm of soft glow can instantaneously add ambiance and texture. What are your favourite home decorating ideas when welcoming visitors? The actress and her celebrity interior decorator Kelly Wearstler show off her two-bedroom, 222-square-metre West Village prewar apartment in the latest issue of ELLE Decor, and they haven’t scrimped on the luxury. The apartment might not be big but every detail has been given the A-list treatment, with drawers lined in raw black silk, interiors of closets covered in custom wallpaper or bursts of vivid paint and plenty of bling. “I blame my love of sparkly, shiny things on my Cuban roots,” says Diaz. 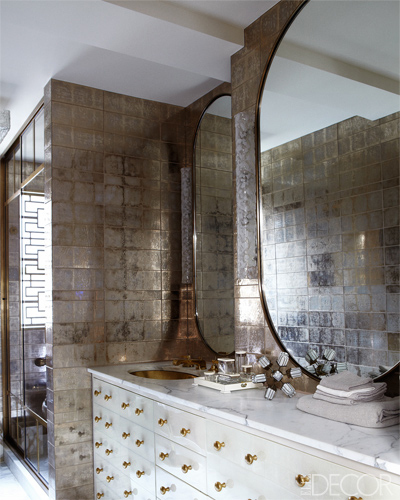 From the bedroom with its cool grey tones, to the bathroom gilded in gold and bronze, Wearstler says her celebrity client was very hands-on. Cameron will next be seen playing Miss Hannigan in the upcoming remake of Annie. 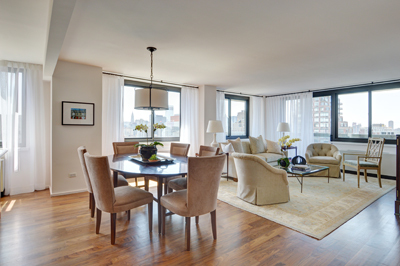 What do you think of Cameron Diaz’s New York apartment? Which room is your favourite?